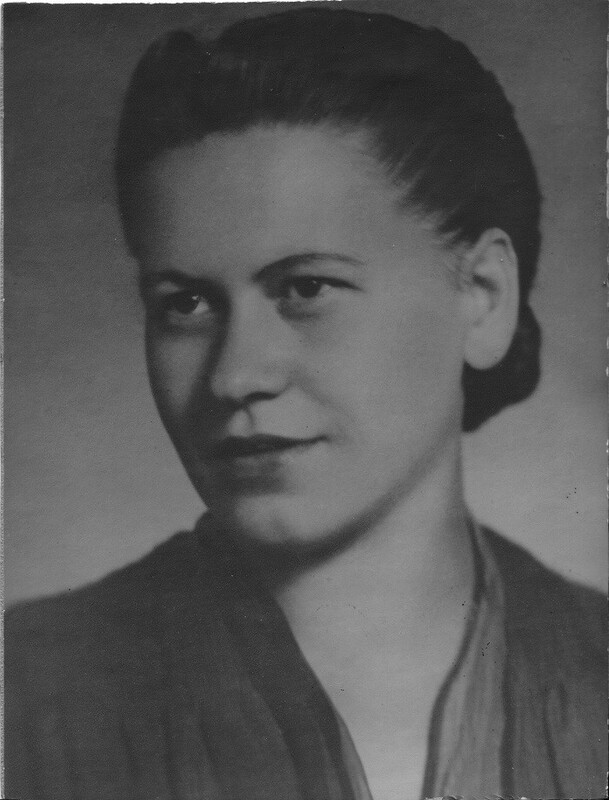 1945 portrait of Eta Wrobel who was born on December 28, 1918, in Lokov, Poland. During the Holocaust, Eta helped organize an exclusively Jewish partisan unit of close to eighty people. She was the only child in her family of ten to survive. Courtesy of Jewish Partisan Educational Foundation.